Yoshiko Kishino is one of the most celebrated jazz pianists in Japan. Her obvious first influence was Bill Evans, but she has developed her own lyrical and tender style over the years. She is also a very talented composer and arranger. 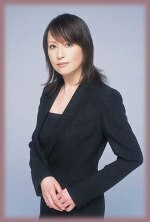 Kishino made a big splash in 1995 with her debut CD, playing with great musicians such including Bill Evans alumni Eddie Gomez and Marc Johnson, Lewis Nash, Peter Erskine and Michael Brecker. Since then, she has recorded and performed with Biill Stewart, Andy Snitzer, Paul Motian, Romero LuBambo, Dave Weckl, Ernie Watts and George Mraz. Eastwind Import owner Hajime is a big fan of her: He used to see her perform live at small jazz clubs in Tokyo, and several of her signed CDs are his personal treasure.